Currently Live in Waterford Parks? The master planned community of Waterford Parks is abundant in amenities, surrounded by mature trees and winding creek conveniently located off Highways 75 and 121. Families love the exemplary rated schools and the neighborhood parks as well. Waterford Parks features its own recreation centers with a junior Olympic size pool, spray park, tot lot, cabana, and kids play area. 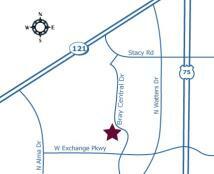 Neighborhood pocket parks and wooded trails make this a warm, welcoming atmosphere to live in. Forbes ranked Collin County as #14 in their Top 20 Best Places to Raise a Family and Allen as their #19 Best Places to Move. 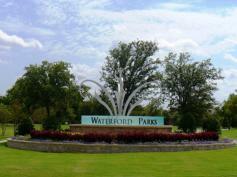 Come experience Waterford Parks and see for yourself why it is a great place to call home. Take a look at these fine home that are currently listed For Sale and if you would like any assistance please call Michael Coburn Broker with RE/MAX Town & Country at 972-390-2480 and we will be happy to assist you. Also if you are not finding what you are looking for here, please fill out the Home Finder and you will be notified as new listing come on the market. If you need anything at all please feel free to contact us we are here for you and are looking forward to helping you find the perfect home.